Buckingham Coatings are a dedicated professional company, highly experienced in the provision of a reliable industrial cleaning service of the highest quality. This service is available to both large and small commercial buildings throughout the UK. 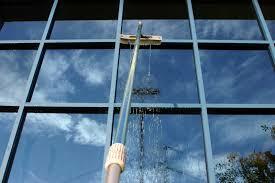 The quality of our industrial cleaning service can be attributed to our commitment to investing in our employees. To demonstrate, all our industrial cleaning staff members receive specific training. This training empowers our employees to work to our trademark high levels whilst using the following machinery- cherry pickers, scissor lifts and scaffolding towers. Additionally, all of our employees have been awarded the relevant and required IPAF and PASMA qualifications. The training regime that our employees receive also includes the safe use and operation of pressure washers. When performing industrial cleaning services on behalf of our clients, the quality of work is second only to the level of commitment we place on ensuring that exceptionally high levels of health and safety are observed for both our staff and our customers. To ensure this is upheld, on all contracts which we engage in, we design and implement a dedicated, site specific Risk Assessment and Method Statement. Further health and safety structures that we implement on all projects include the production of COSHH datasheets and the provision of copies of our Health and Safety Policy. The completion of building wash downs. 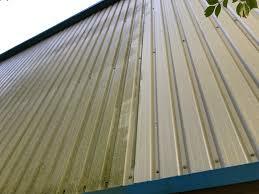 The performance of high quality cleaning to industrial cladding. The removal of roof moss and subsequent cleaning. The performance of comprehensive gutter clear outs. Performing industrial cleaning work on your commercial premises not only improves its aesthetic appearance, an essential measure to raise the status of your business and ensure a uniformed appearance throughout your brand. This work also adds value to your property, whilst also helping to reduce and prevent the resultant deterioration that occurs due to the natural weathering process. Our industrial cleaning services offer a cost effective means of returning your building to its original manufactured condition. For information or to arrange a site survey of your premises and a quotation for potential work, call us on: 01908 765 009.